Explore all that Playas del Coco and the Papagayo Penisula region have to offer! Costa Rica blends raw, wild nature with a developed tourism infrastructure offering the ideal balance of authentic flavor and convenience. This means you’ll have your choice of almost any activity, anywhere in the country! Go from island to forest or beach to volcano in a matter of hours! Visit nearby Playa Ocotol for amazing snorking or perfect your golf at the Papagayo Golf and Country Club. Want more adventure? Zipline through the jungle, trek though the rainforest, go horseback riding, bird watching or climb a dormant volcano. 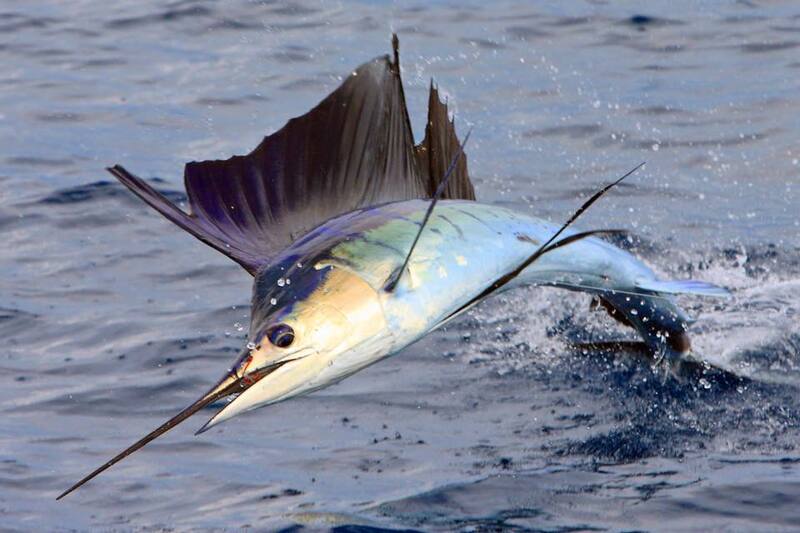 Try your hand at deep sea fishing or go scuba diving. Want to surf? Make the easy drive to Playa Flamingo, Playa Grande, Tamarindo and other points further south. Otherwise, just chill on the sands of Coco or Playa Hermosa to soak in the sun or capture a beautiful sunset. 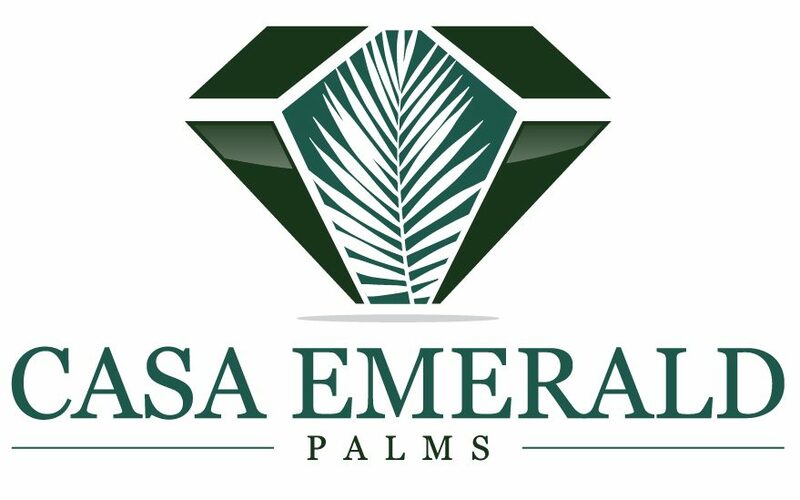 At Casa Emerald Palms we can assist you in creating a truly unique, fun-filled vacation. Your explorations are limited only by the length of your stay and your ambition! The best way to begin planning an unforgettable vacation is to let our local concierge team or hand-picked tour operators assist you with all the details. Guanacaste is home of the Costa Rican cowboy. 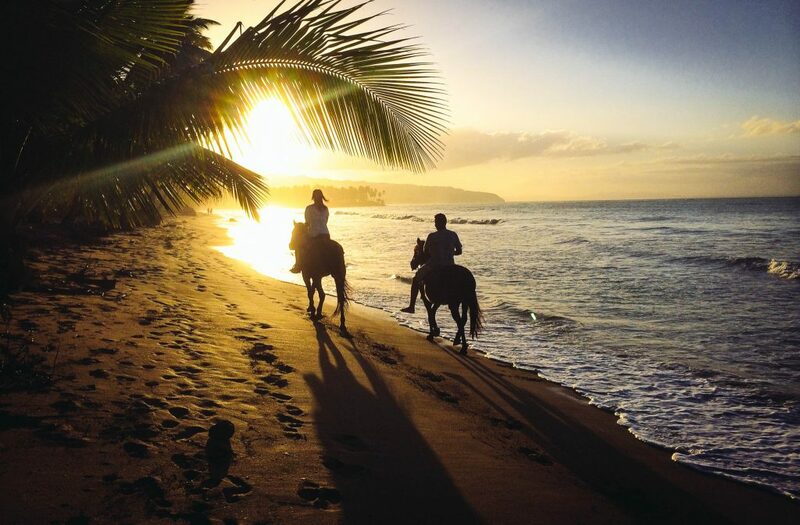 Horseback riding adventures are plentiful where you can ride along the beach, through beautiful forest and prairie landscapes or in the valley below Rincon de la Vieja’s volcano. Your trip will likely start at a hacienda (ranch) where you are appropriately paired with your four-legged travel guide. Tour options are available by the hour or day and for all skill levels. [read more=”Read More for info” less=”Read Less”] Depending on the service provider, meet on-site or be picked up from Playa del Coco. Longer rides often include lunch and beverages. Get up close and personal with over 850 bird and 250 mammal species! 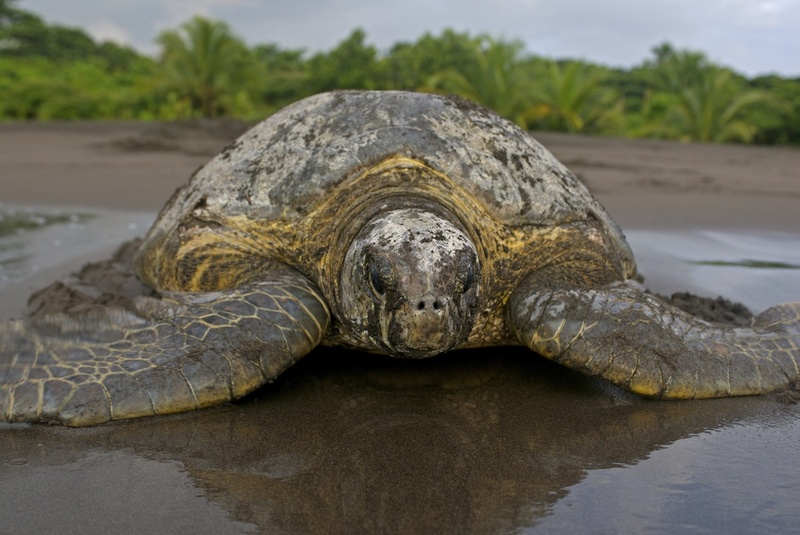 From the heights of the jungle canopy treetops to the depths of the ocean floor watch in awe as 1200 pound leatherback sea turtles lay eggs in the middle of the night or cheer on dolphins playing in the sea. Witness howler monkey troops erupt in boisterous, echoing hoots or spot Costa Rica’s shyest and most endangered inhabitants like the sloth or jaguar sleeping in the trees. [read more=”Read More for info” less=”Read Less”] The finest places to experience Costa Rican wildlife are in its national parks and wildlife reserves, where experienced guides take you through forest trails, canopy bridges, up rivers, and around rural townships. Daily wildlife tours abound, many carried out in conjunction with other adventures listed here. 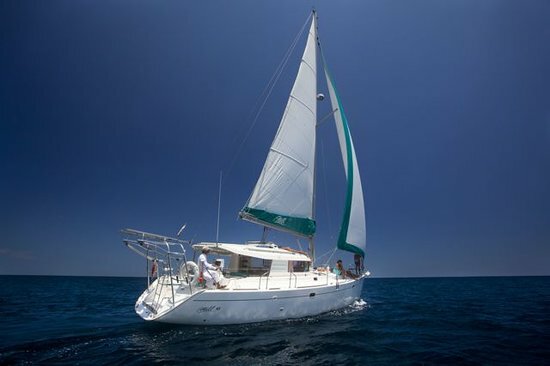 Popular options: Dolphin watching off Playa del Coco shores, Scarlet Mckaw sightings in the Osa Penisula, Sea Turtles nesting in Nosara (Nicoya Penisula), sloths in Monteverde, squirrel and white-faced monkeys in the Central Pacific region. 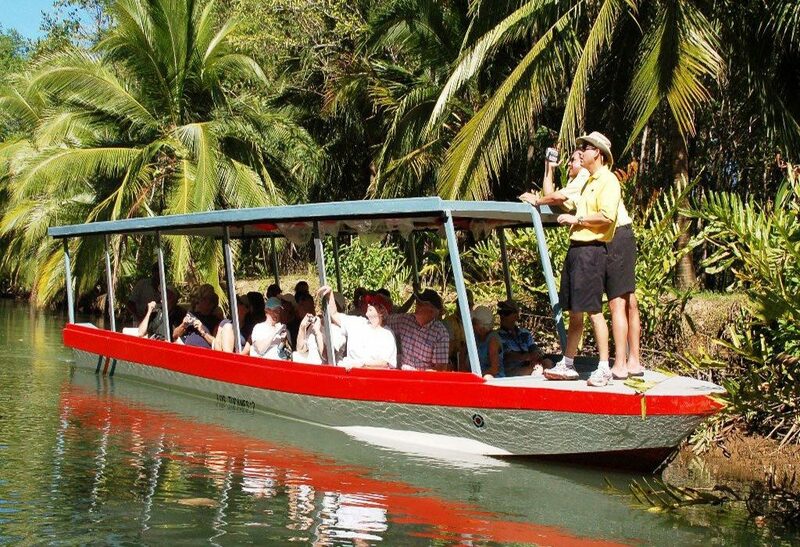 Jungle boat tours allow access to many difficult places by providing easy transportation cruising up rivers and through estuaries or swamps in a flat-bottom or covered safari-boat. Often combined with other excursions, this is an excellent option to get close to crocodiles in their own habitat or explore Costa Rica’s biological ecosystems. [read more=”Read More for info” less=”Read Less”] Two, four hour and half day excursions include lunch and beverages, while shorter tours include a refreshing snack. Combine this activity with other adventures to round out your experience. Places to visit Tarcoles, Corobici, Peñas Blancas and Sarapiqui rivers. 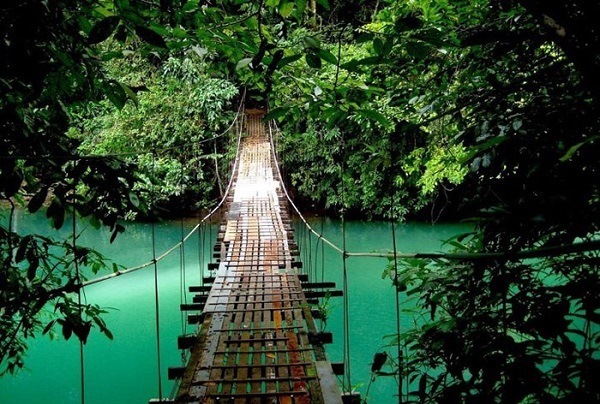 Most hanging bridges are located in wildlife refuges of the ‘wet’ tropical rainforests within the Central Valley and Caribbean regions. The most famous called the ‘Skywalk’ with up to six bridges total, is spread across the forest canopy offering trails range from 100 to 984 ft. Take the self-guided route and enjoy the canopy at your own pace. Alternatively, have a naturalist guide point out wildlife or bird species that would be otherwise be invisible to the untrained eye. Tours normally last two or three hours (excluding travel), departing at sporadic times to accommodate visitors commuting from other regions. 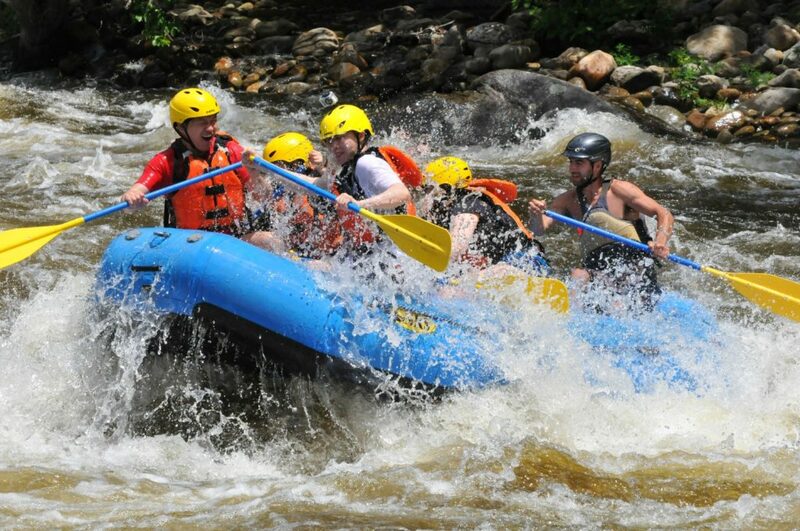 Combine with other activities for a full-day adventure experience. For the adventurous, night bridge tours exist! Traveler’s Tip: All suspension bridge tours are limited in size due to safety. Reservations are recommended in July and Aug and from December to May. Shaped by torrential weather and carved through dense forests, Costa Rican valleys and canyons are ripe for rafting opportunities. One of the more surprising water sport in Costa Rica, some of the best rapids in Central American can be conquered here. Take a gentle cruise down a class I or II rapid or hold onto your paddles as you take heart-pounding waves on class IV or V rapids! You can choose to spend several hours on the river or curate a specialized trip over several days. [read more=”Read More for info” less=”Read Less”] Many tours begin with a scenic drive through the idyllic countryside and include professional guides to ensure your experience is safe and memorable. Snacks or a traditional Costa Rican lunch is often provided. The mesmerizing biodiversity of Costa Rica does not stops at its shoreline. See oceanic species like schooling fish, sea turtles, giant manta rays, or come face-to-face with sharks and majestic whales. While diving in the Pacific ocean is not as vibrant as other tropical waters, due to a landscape defined by volcanic formations not coral. Diving at any one of the three main areas accessible from Playa del Coco waters will not disappoint. [read more=”Read More for info” less=”Read Less”] Recommended for advanced divers are the Catalina and Bat Islands, novice/intermediate divers will enjoy any one of the twenty local dive sites with little or no current. The dry season offers colourful diving with visibility up to 100 ft (30 m), while the rainy season is best for advanced divers who want to see action due to heavy water currents and plankton blooms attracting larger predatory species. Take a refresher course or learn how to dive while in Costa Rica, as the local dive shops are all PADI-certified. Daily excursions begin early and wrap up around mid-day. Prices include snacks and drinks, while gear rental is separate. If snorkling is more your style of underwater adventure, Guacamaya and Nascascolo are within an hour’s boat ride and feature coral reefs with abundant marine life. If your idea of the perfect vacation involves a manicure, a coffee scrub or lava rock massage, Costa Rica has you covered! Rapidly becoming a worldwide luxury spa destination, expect to pamper oneself with organic spa ingredients due to Costa Rica’s emphasis on sustainability and the natural environment. Find many of spa and wellness options ranging from budget-friendly to ultra-luxurious, [read more=”Read More for info” less=”Read Less”](the latter of which you are nestled in the rainforest canopy, have panoramic views of the pristine coastline or of majestic volcanos). Delight in a volcanic mud wrap, soothe tired muscles in a hot springs, exhale with a therapeutic deep tissue massage or through combination of meditative yoga poses. 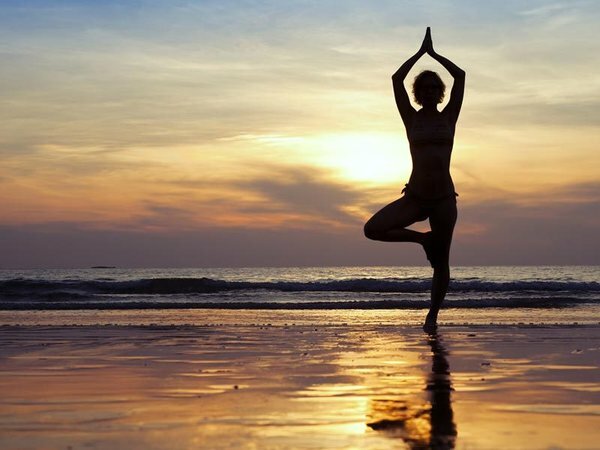 The top rated Costa Rican spas and wellness centres are found within resort communities or international hotel chains offering the gamut of wellness, yoga and aesthetic treatments. Not to be overlooked, quality independent spa operators and masseurs exist to provide relief to tired adventure seekers needing down time, couples looking to re-connect or to cap off the ultimate girls trip. Locally choose from in-suite, retail or on-the-beach massage, yoga and reflexology options. If your interests point towards yoga, drop-in private and group classes can be arranged where the sounds of flowing water and whispering breezes can bring you back into harmony. 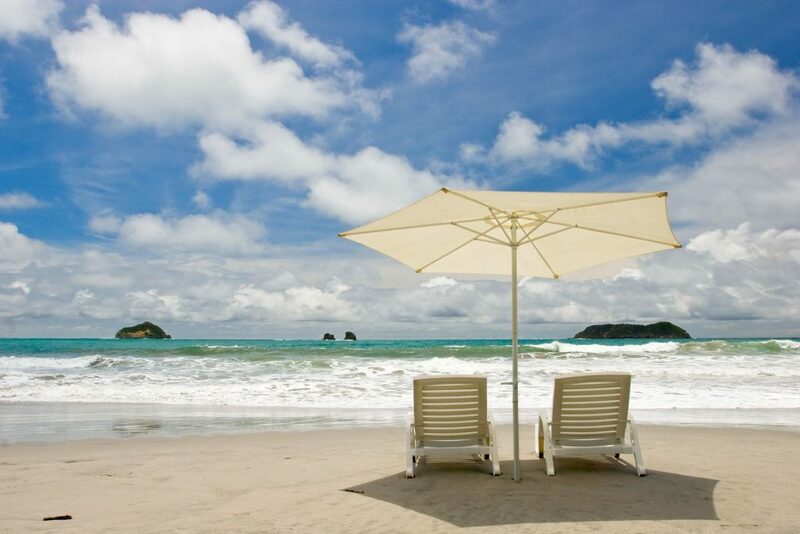 Return home from your Costa Rica adventure relaxed and recharged! Places to visit: Lake Arenal, Playa Grande or Manuel Antonio’s estuaries and Jacó’s coastline, or right off Playa del Coco shores. Other kitesurfing destinations include the northern tip of Lake Arenal in the Central Valley (rated amongst the top windsurfing lakes in the world), where consistent high winds blow 24/7 during peak months. Closer to town kite-surfers have been spotted in Playa Hermosa & Playa Panama. They are good locations during the ‘green’ season between June through November, where you can expect up to three or four hours of kitable conditions. 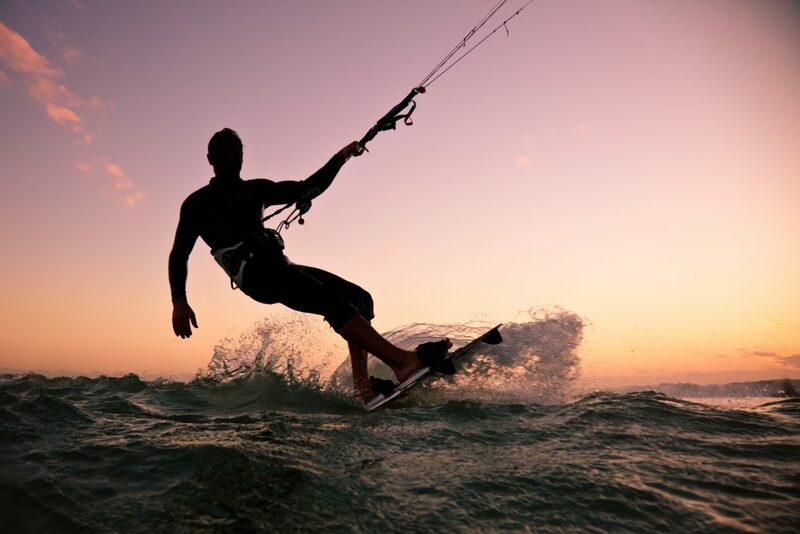 Kite-surfing gear rental options are readily available at popular kite-surfing destinations, but choice is limited by location and supplier. With patience and flexibility, you can find good, locally produced or newer imported equipment. Classes and tour packages exist from a handful of specialized firms with experienced guides/instructors. 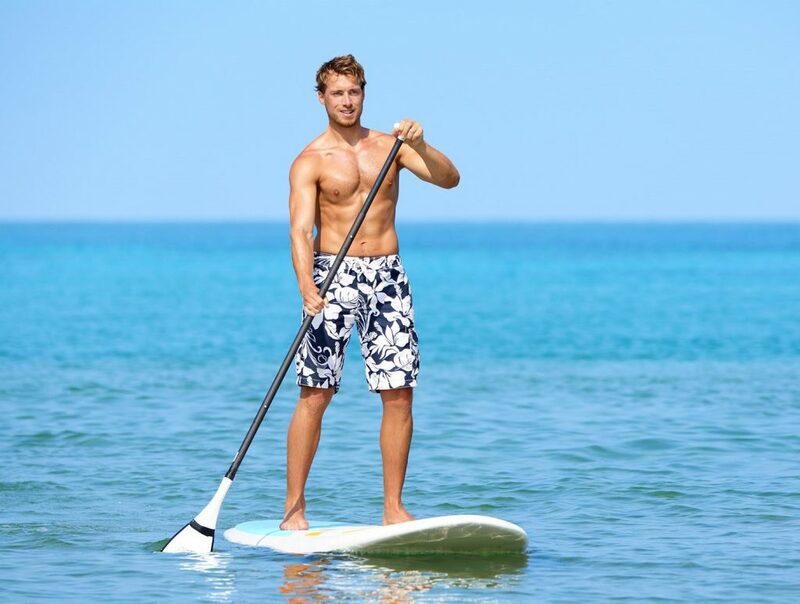 Water sport equipment such as life jackets, snorkle fins and masks, flotation noodles, and standup paddle boards are often provided. Drinks, food and lively music are included as these excursions tend to be social affairs. Afternoon tours are recommended to catch spectacular sunset views on your return trip to shore. Eight hundred miles of coastline spread across two oceans make for countless beautiful beaches and amazing play dates in the sand. There are plenty of beach options in Guanacaste’s pacific north-west region, aka the “golden coast”, where you can literally enjoy a different beach everyday. Half the fun is discovering them on your own! White sand beaches may take the spotlight as ‘the most beautiful’ in the tropics, however Costa Rica also offers black, brown, tan or pink sands for a change of scenery. [read more=”Read More for info” less=”Read Less”]Dark sand beaches are more common due to the country’s volcanic landscape being in the ‘ring of fire’. Costa Rica’s beaches can be classified as family or surf-friendly, popular and ‘off-the-beaten-track’. Family-friendly beaches typically have gentler surf breaks for swimming and beach amenities like shops or bathrooms. Less popular beaches are often secluded, accessible only by boat or car. Surf’s up! Costa Rica is world renowned as a top surfing destination with year round warm waters, offshore winds and consistent waves. It was selected to host the ISA World Surfing Games in 2015 & 2016. There are four different surfing zone: The Caribbean and the Northern, Southern and Central Pacific coasts. The majority of surf sites are concentrated here in the Northwest region, with regional sites featured in the ‘Endless Summer’ movie series. No matter your skill level, board or wave preference, Costa Rica delivers to match. [read more=”Read More for info” less=”Read Less”] Beginners can enroll in surfing classes, camp or practice their technique at gentler beach destinations. Depending on the tide, advanced surfers can charter a boat to either Witch’s Rock (located in the Santa Rosa National Park) or Ollie’s Point – arguably the best beach break destinations. We recommend a day or overnight trip to fully experience this water activity. Organized surf tours exist whereby a guide can show you the local spots or you can hire someone to help you find the best breaks, with food and travel included in the cost. Board rentals are also available at larger destinations. Many surf spots are best accessed by boat from Coco beach or by four-wheel drive. Places to visit: In the Northwest region: Tamarindo, Playa Grande, Playa Negra, Playa Avellenas or Playa Langosta (all adjacent beach towns), Playa Flamingo (for beginner surfers wanting to practise on their own), Naranjo Beach (Witch’s Point) and Potrero Grande (Ollie’s Point) located in the Santa Rosa National Park and Nosara. In the Central Pacific area: Jaco’s many beaches including Hermosa, Boca Barranca and Escondida. 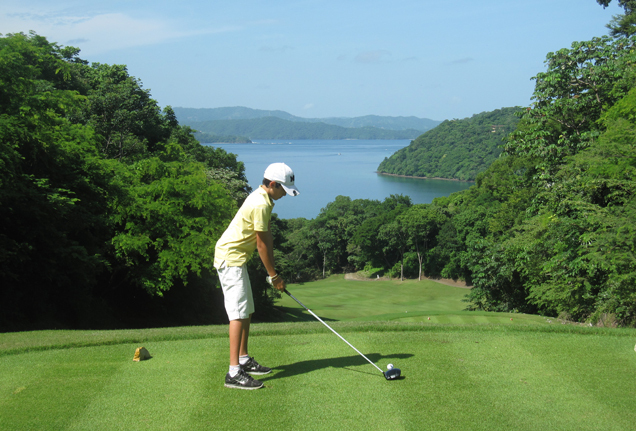 If your idea of the perfect vacation day involves playing 18 holes on uncrowded courses with tropical breezes and breathtaking ocean vistas or taking in a few rounds between sport fishing or scuba diving adventures, then golfing in Costa Rica is for you! Rapidly becoming a world class golf destination, the most recognized golf courses are located here in Guanacaste province. These tastefully and professionally-challenging greens were designed by top golfers such Arnold Palmer, Mike Young and Ted Robinson Jr. [read more=”Read More for info” less=”Read Less”] All except one affordably-priced course are located within uber-luxury resorts. Many tend to be pricey or exclusive to resort guests, however organized golf tour packages exist. With the purchase of a golf pass you can play at them all for a reasonable price. If you want an ecological and fun twist to your Costa Rican exploration, then start your 4×4 engines! Plunge along rivers, ride across deserted beaches or up rugged mountainsides where you can see the country’s natural beauty off the beaten track. Travel the backroads where you can witness the tranquil Tico lifestyle. Experience the rush of fresh, open air as you ride on gravel or dirt roads and over potential mud holes, passing farms and jungle areas along the way. 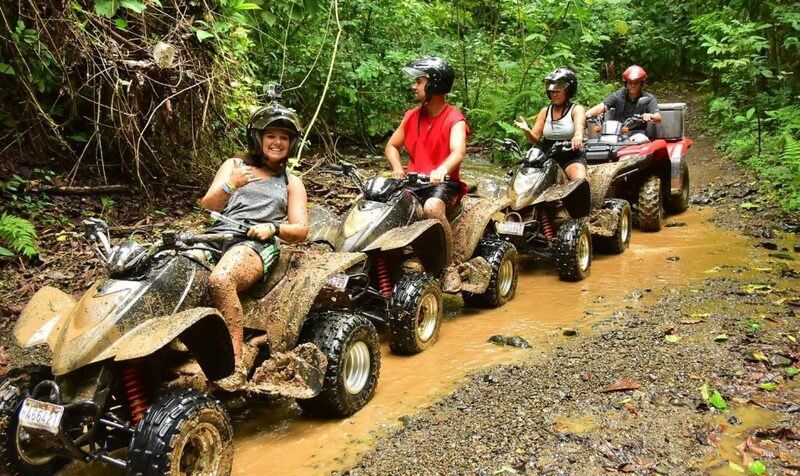 [read more=”Read More for info” less=”Read Less”]ATV adventures include operational vehicle orientation sessions and can range from 2 hour to full day events, frequently combined with other activities. For the true ATV’r, many operators provide customized, private one-on-one tours where you can literally chose your visual landscape. This is a great activity for families with active teenagers and can be experienced rain or shine. 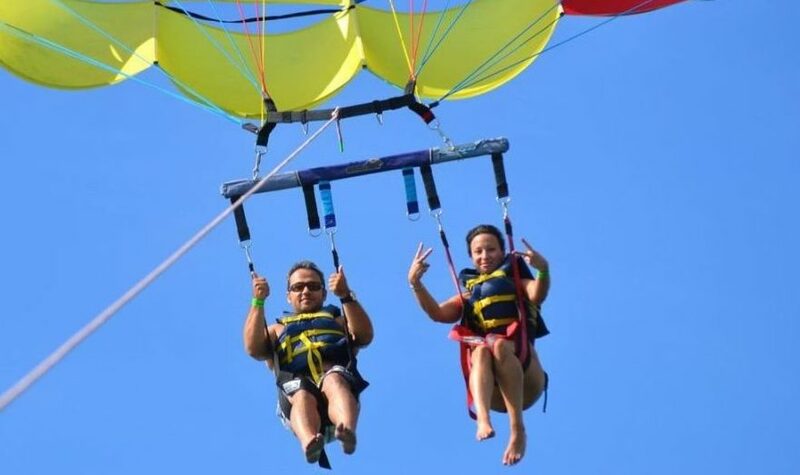 No other water sport combines the trill of playing in the ocean on jet skis while soaring up to 600 ft above the coastline, providing a breathtaking, bird’s eye views of the Costa Rican landscape quite like Parasailing. 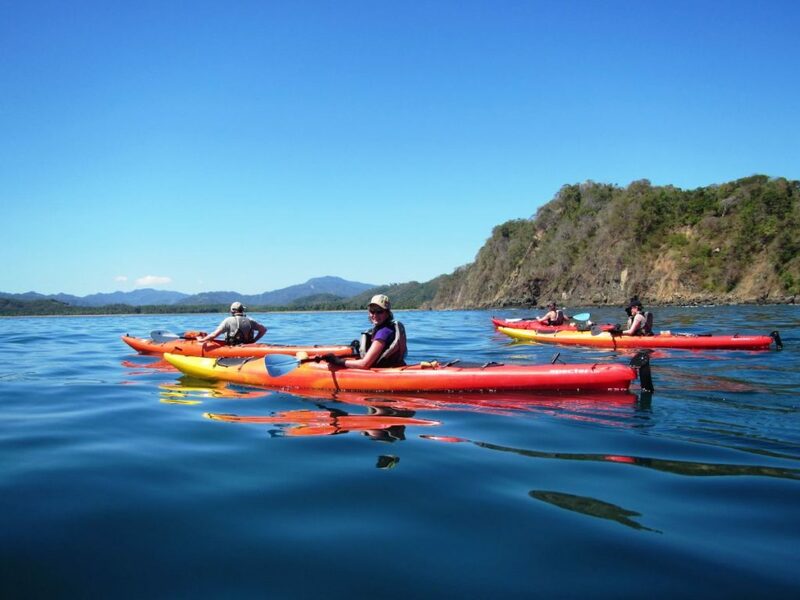 An exhilarating experience for travelers of all age and skill levels, this water sport is recommended only for the most adventurous and/or those willing to make the 4+ hour trek to Manuel Antonio in the Central Pacific region. [read more=”Read More for info” less=”Read Less”]It is best suited for those who will be taking day trips outside of Playa del Coco or plan to stay in the Manuel Antonio region during their Costa Rica trip. Tours are available from a handful of operators and experienced crew. Traveler’s Tip: Minimum weight restrictions may exist with some tour operators for safety reasons. 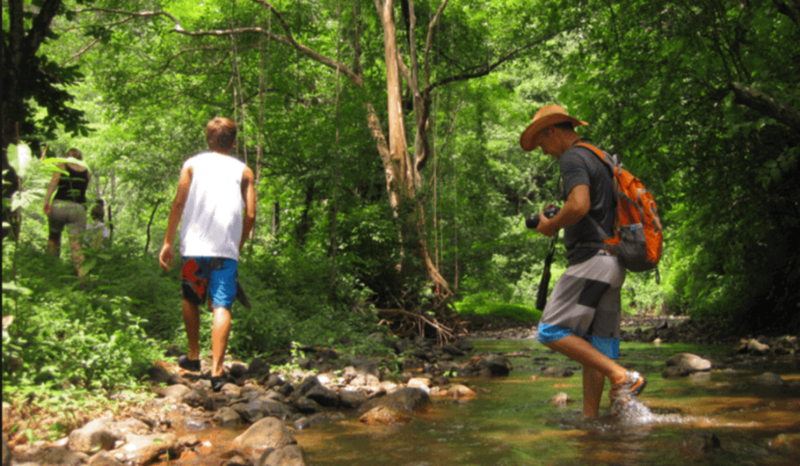 Hiking offers incredible experiences to explore the varied landscape and nature of Costa Rica. With over 25+ national parks, wildlife refuges and private reserves offering well marked hiking trails, from easy coastal walks to challenging mountainous climbs. There’s a hiking trail suitable for every skill level and desire. Most of the hikes lead to a natural wonder – be it an active or dormant volcano, relaxing hot springs, dark caves or a magical waterfall. [read more=”Read More for info” less=”Read Less”]Guided hikes are one of the best ways to explore the outdoors (and see wildlife), however self-guided adventures are possible. For those without limits, guided night-time jungle walks and tours let hikers see and hear nocturnal wildlife they would never otherwise experience. Traveler’s Tip: Regardless of the hiking experience you crave, always remember to check local conditions and plan ahead. Some hikes are best during the dry season as trails can get washed out in the wet season. Others are full day adventures. Some book up to 3-6 months in advance due to its popularity or need to limit potential human impact on the regions delicate ecosystems. Places to visit: Arenal National Park – volcano and lake hike, Rincon de la Veija National Park – Geothermal and volcano crator hikes, Barra Honda National Park, Corcovado National Park’s Sirena trail wildlife tour, Barra Honda National Park’s cave/trail hikes, Tenorio National Park with the famous Rio Celeste waterfall, Catarata Bajos del Toro Waterfall Hike, Chirripo National Park volcano hike. 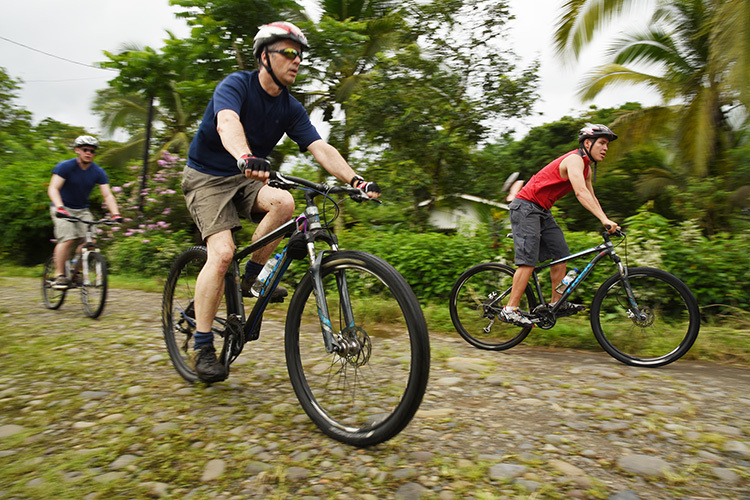 Costa Rica has plenty of biking trails that crisscross thru pastures, along city roads, jungles or mountains. Set amid enchanting scenery, these singletrack paved and unpaved trails offer picturesque ocean views and stunning rural landscapes with terrain to challenge any ride level. Rides are classified by its terrain (eg. flat, some hills, paved or unpaved) or recommended bike type (e.g. road, hybrid/city or mountain). Road bikes tours are for paved routes. [read more=”Read More for info” less=”Read Less”]Mountain bike tours are suited for off-road trails and rougher terrain. Organized bike tours include equipment rental with routes typically 2-4 hours in length (8-26 miles or 13-42 kms), excluding transportation. Longer ones may require an overnight trip or two. Self-guided trips along established routes provide an opportunity to go at your own pace. In town, there are plenty of bike routes that originate and end at Playa del Coco, including the International Ironman 80 km road bike route, an easy 9 km Coco neighbourhood trail, an exploratory 30 km Carillo district tour and the 30 km ITU Panamericano route originating in Playa Hermosa, traversing through neighbouring Playa Panama. Not just an action and adventure destination, many of Costa Rica’s more interesting cultural experiences are deeply rooted in its agricultural society. Here, cultural tours are not your average outings. 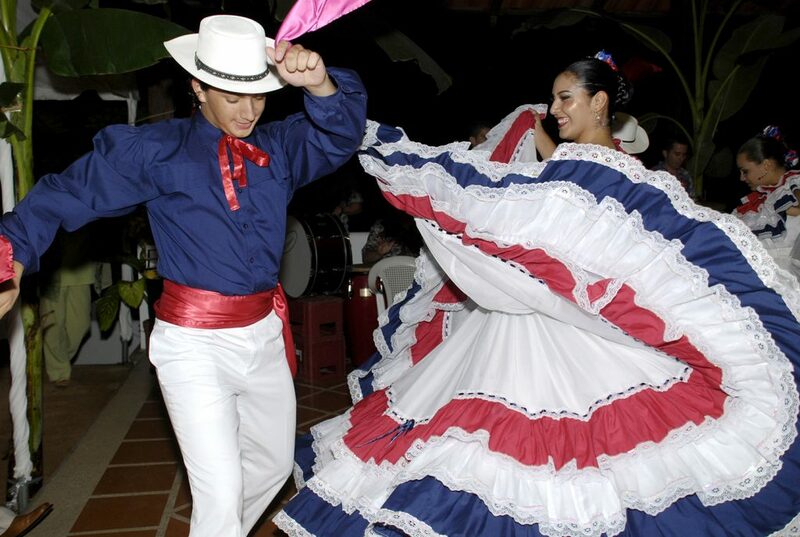 What Costa Rica may appear to lack in high culture (outside of urban centres), it makes up for with friendly and knowledgeable local guides, families and business owners who are unofficial ambassadors to the world as they intervene stories about the history and culture of their country in their rural tours. [read more=”Read More for info” less=”Read Less”] Get a glimpse into world-class coffee evolution from seed to cup, visit historically significant Costa Rican monuments and landmarks, participate in regional sport, music or art festivals, leave your legacy thru volunteerism or awaken your senses with a self-curated back-country gastronomical tour. • Participating in a Mejenga (slang for a pickup game) of basketball or soccer (football to Europeans). Do you get a thrill out of that ‘stomach dropping’ feeling when riding a roller coaster? Want to fly thru the rainforest canopy like Superman? For those that enjoy (and want) adrenaline experiences, ziplining and rappelling represent some of the safest and fun ways to experience heart-pounding thrills while simultaneously exploring the wonders of nature. 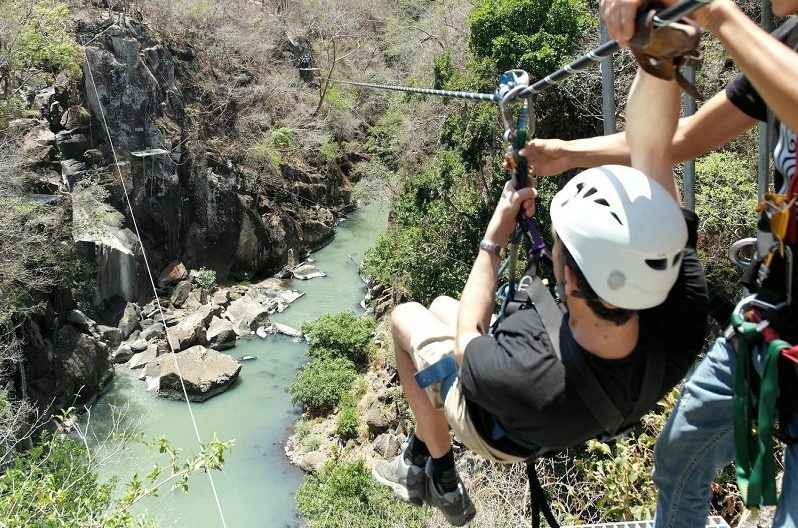 Recreational ziplining is a Costa Rican right of passage, having been invented back in 1970. [read more=”Read More for info” less=”Read Less”] It involves being securely harnessed to a pulley and cable system and traversing treetops along steel cable to stationary treetop platforms. Depending on location, you can zipline over a 230 foot waterfall, towards a 5,500 foot volcano or even partially over the ocean. There’s a plethora of ziplining excursions and tours to select from in every region of country. It’s an excellent activity for families to enjoy and a thrilling bucket list worthy adventure to try! Rappelling or canyoning is one of those sports that focus more on the aesthetics of the view and the fun than pure difficulty. It’s essentially rock climbing in reverse where the power of your legs help you carry out controlled descents off rock faces and more commonly waterfalls to canyons deep in the jungle forest below. It requires no previous experience to enjoy some of the best Costa Rican landscape views. Led by experienced, safety-conscious guides rappelling can be enjoyed by all ages.